I received this ARC from McNicoll’s publisher Lorimer at OLA last month. The book follows high school student Sonja (Sunny) Ehret and she stands trial for manslaughter. Every chapter alternates between last year (Sunny serving volunteers hours on an Alzheimer’s ward), and this year (Sunny’s manslaughter trial). So just how are the two connected? Well you have to pick up this uh-mazing book to find out! I actually read this book in less than a day as I could just not put it down. I loved how the elderly residents really started to change the way Sunny felt about volunteering at Paradise Manor. Each individual had a unique personality and made me laugh. My favourite was Jeanette with her love of lipstick and how she complimented Sunny on her non-existent fashions. Despite the lighter moments, this book definitely deals with heavy, mature content. I liked how McNicoll was able to describe the devastating disease of Alzheimer’s through Sunny’s class presentation so readers are aware of all that it entails without it feeling too medical or pushed. The book also skims the surface of the euthanasia debate and whether a suffering person with a terminal illness has the right to die on their own terms. It truly is a legitimate concern since the Alzheimer’s rate is likely to skyrocket as baby boomers in Canada age. Hopefully, a treatment or cure can be realized so Alzheimer’s won’t become the defining disease of the Baby Boom Generation. 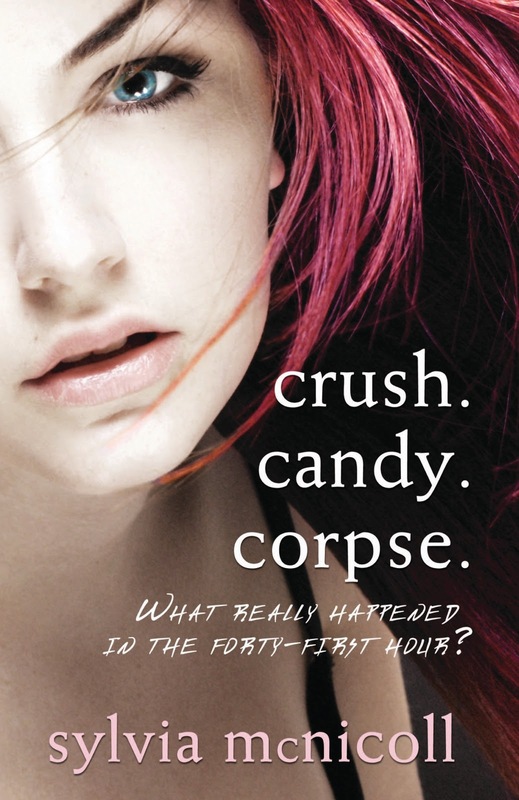 Look for Crush.Candy.Corpse. at bookstores and libraries March 12, 2012.